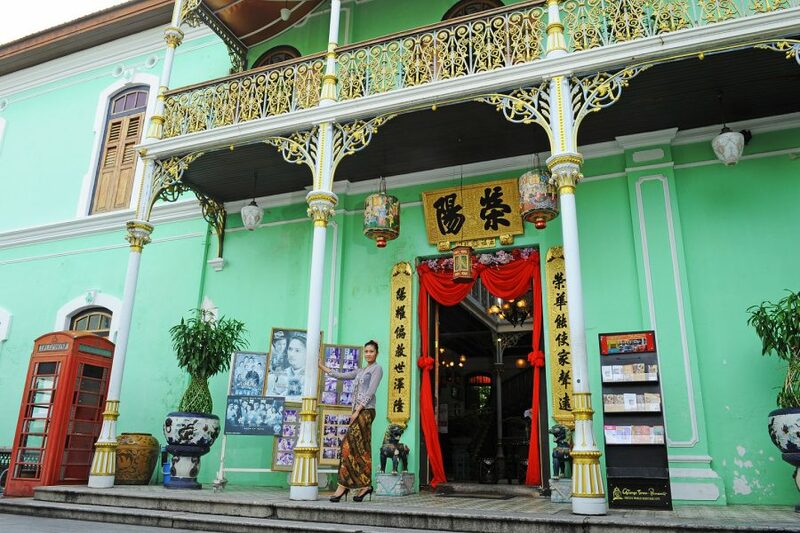 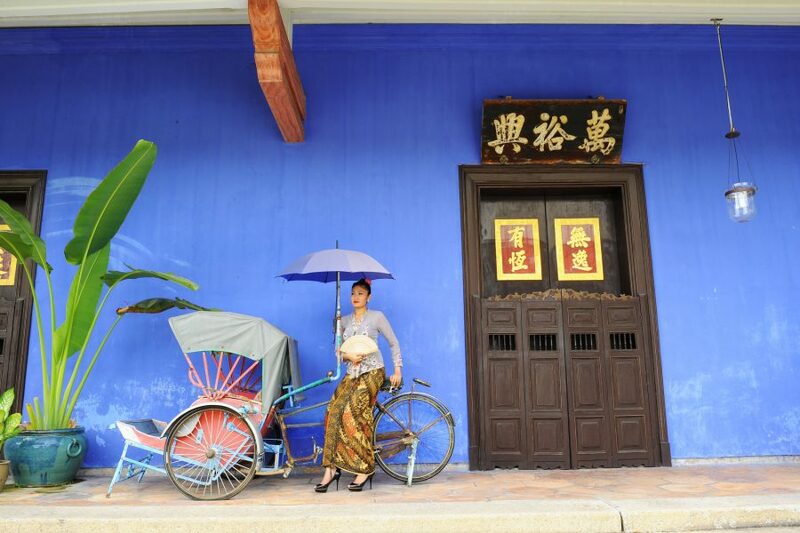 Penang Peranakan Mansion is Penang’s way of introducing people to the historical Peranakan culture. 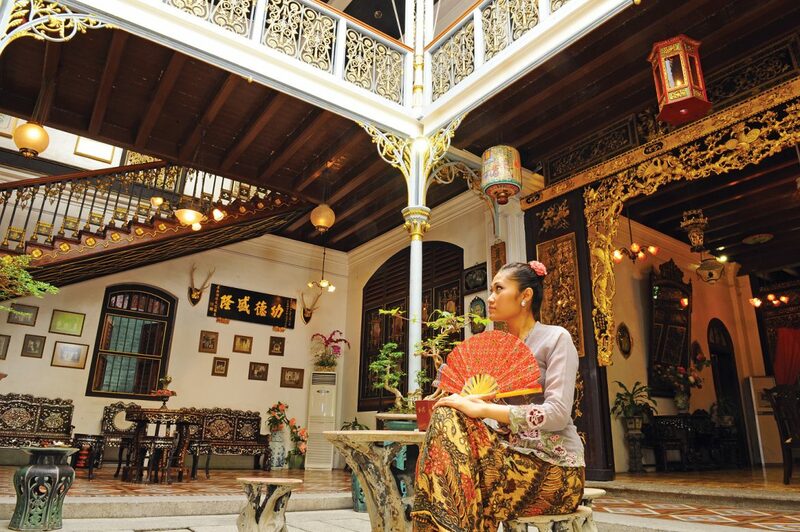 A recreation of a typical rich 19th century Baba home, the elegantly restored museum is a testament to the Baba-Nyonya cultural revival and displays over 1,000 pieces of antiques and collectibles. 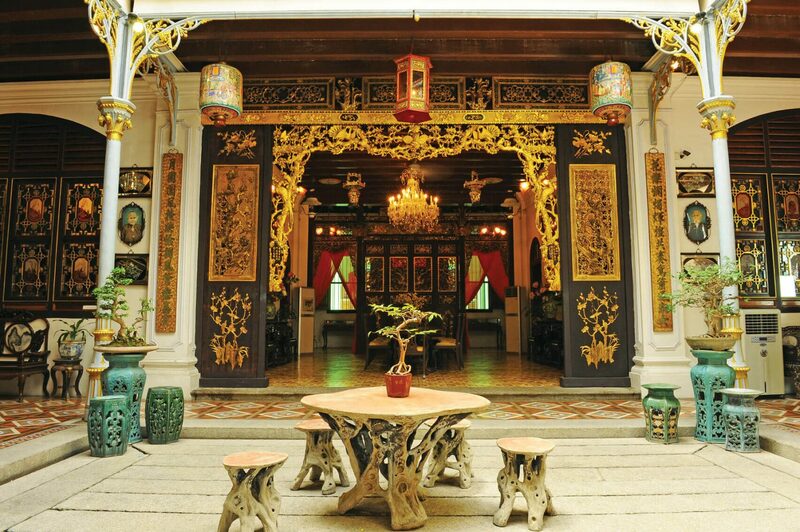 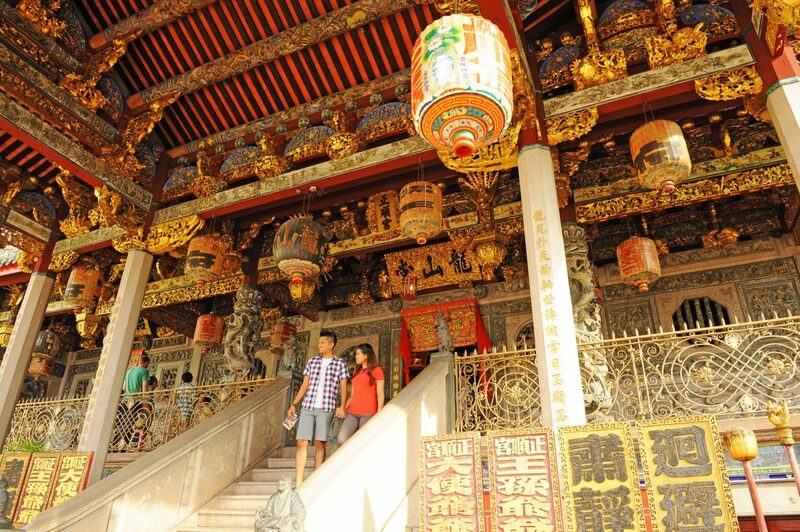 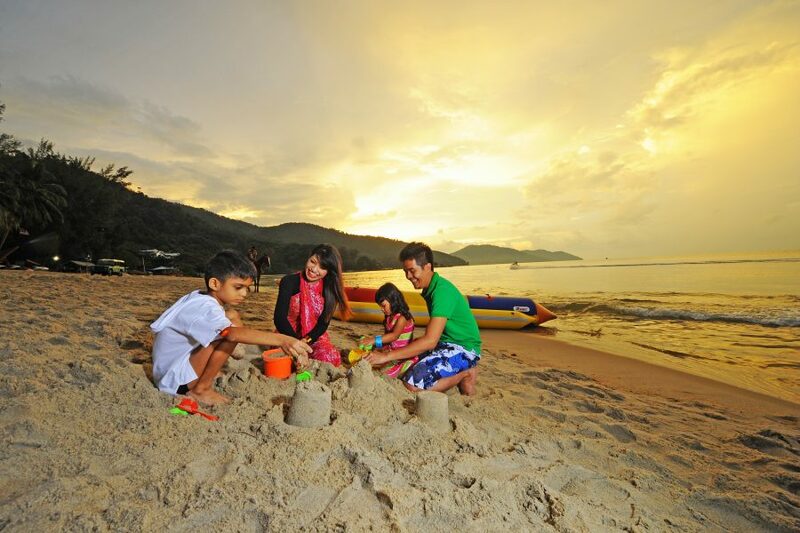 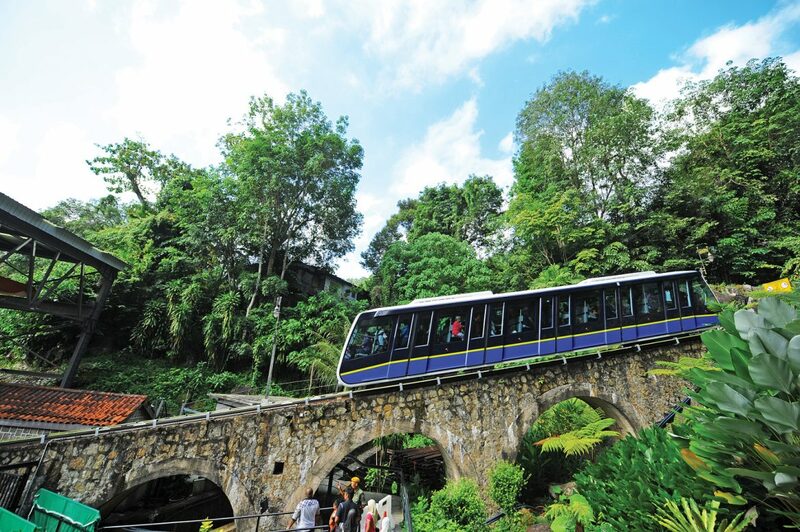 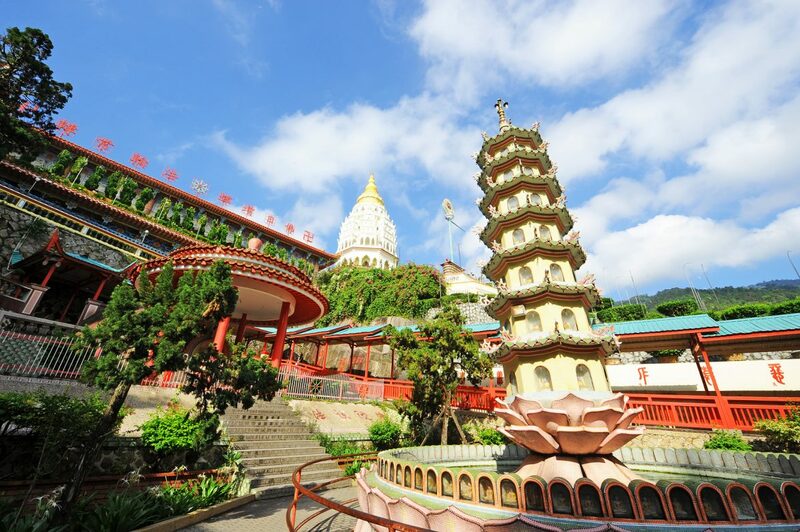 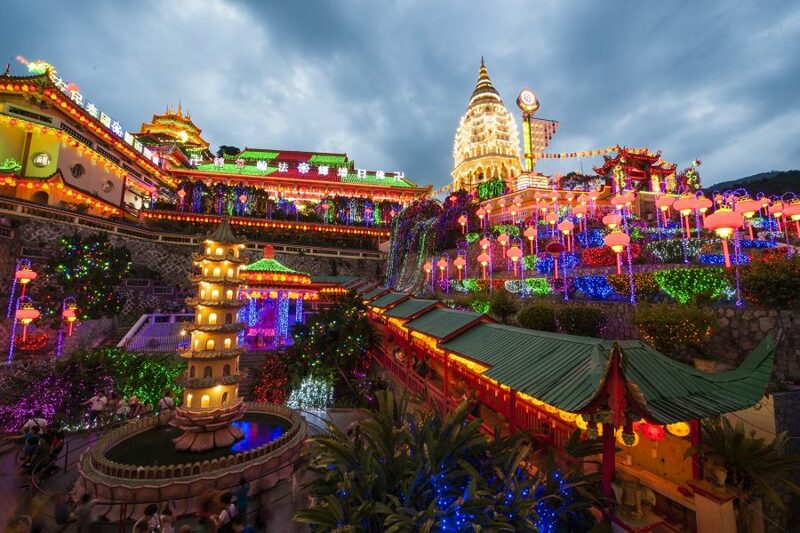 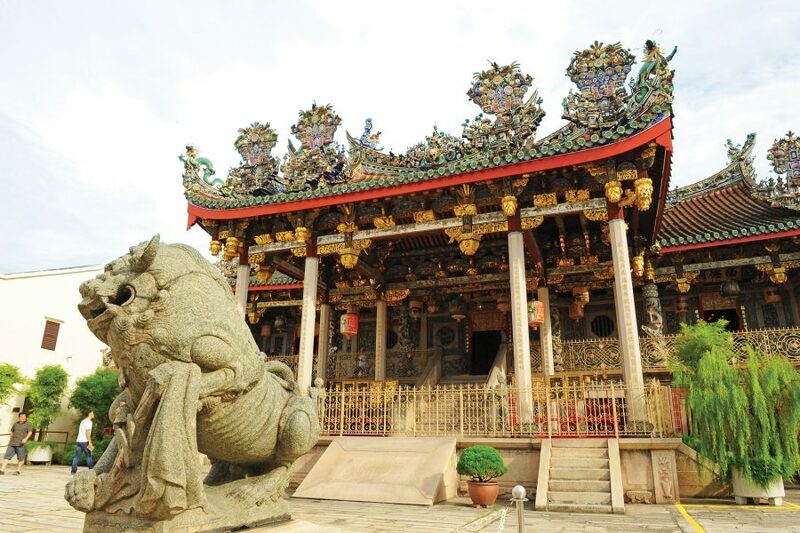 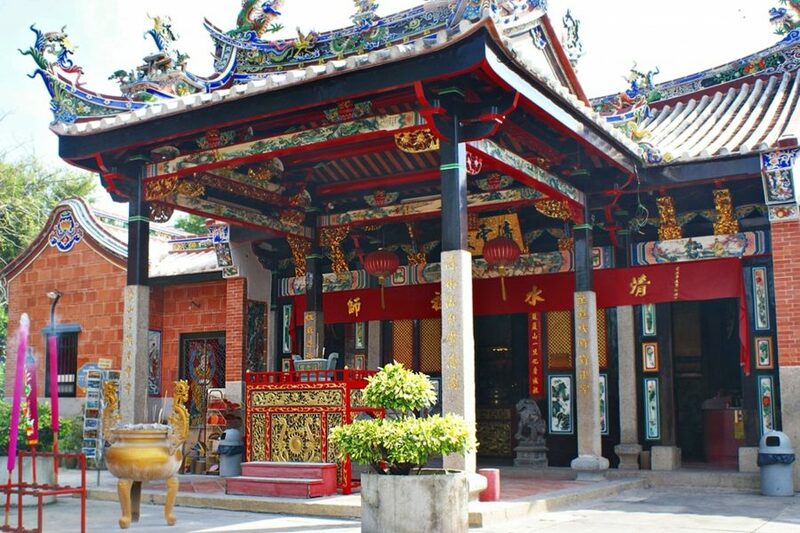 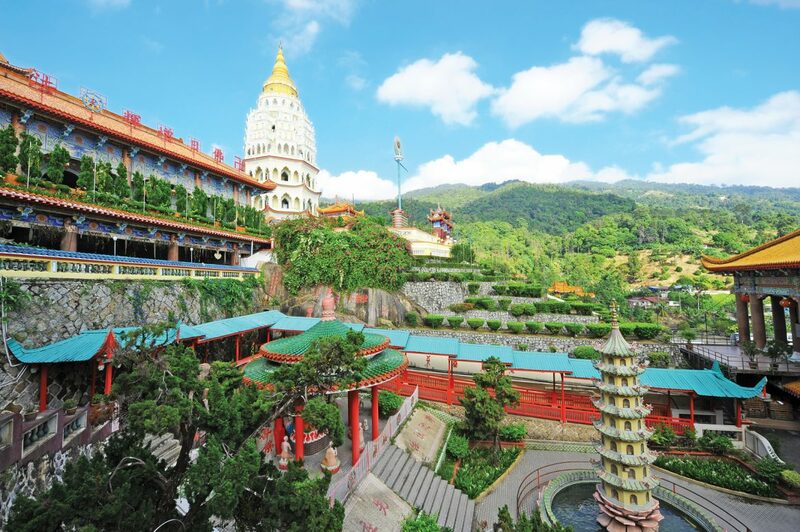 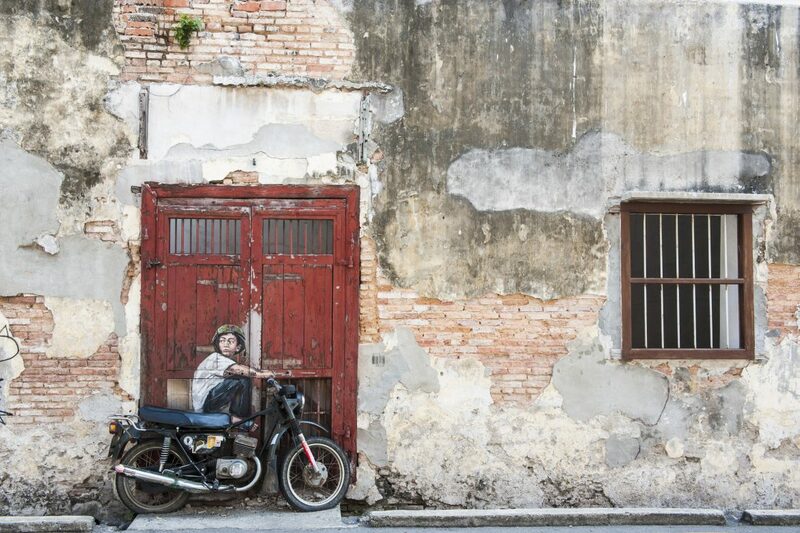 Housed in one of Penang’s heritage mansions, it is truly an ornate sight to behold. 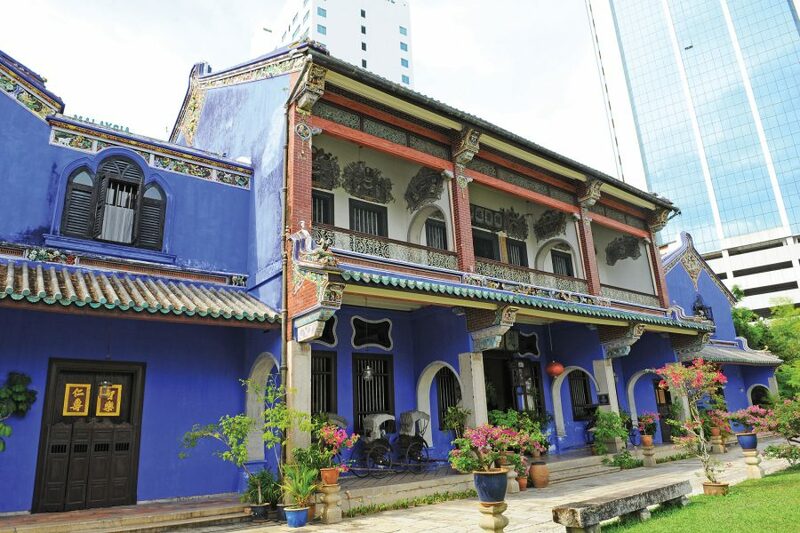 Built at the end of the 19th century, inside the Penang Peranakan Mansion you’ll find an eclectic mix of English tiles, Scottish ironworks and continental European art and furniture as well as Chinese carved-wood panels. Besides the traditionally crafted memorabilia, antiques, and artefacts filling up the space be sure to check out the elaborate screen doors and mother-of-pearl furniture with beautiful carvings. 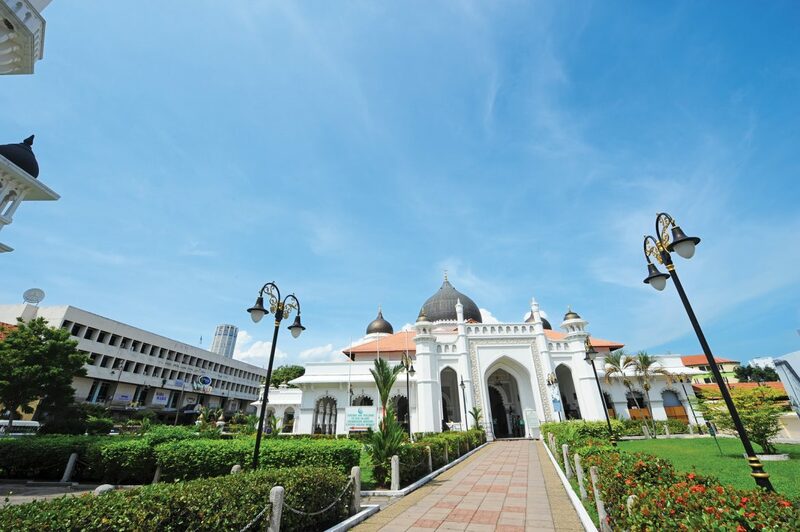 Kapitan Keling Mosque is located at Lebuh Acheh,Georgetown, Penang, Malaysia. 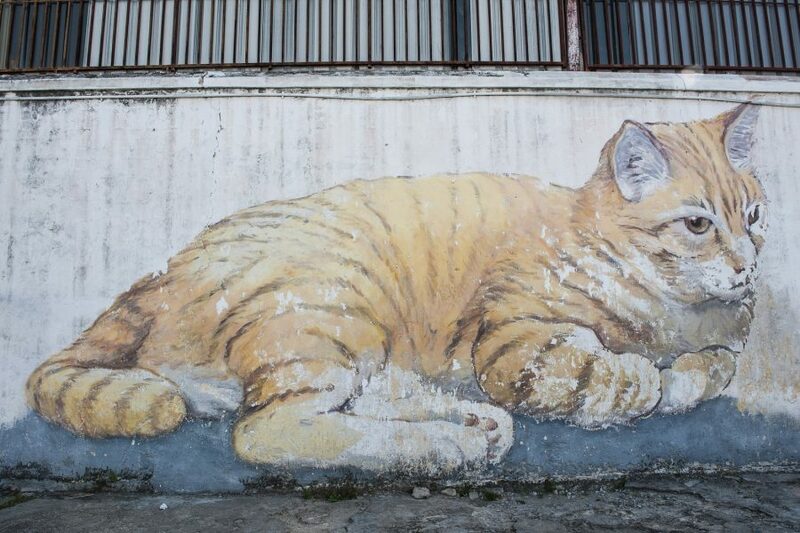 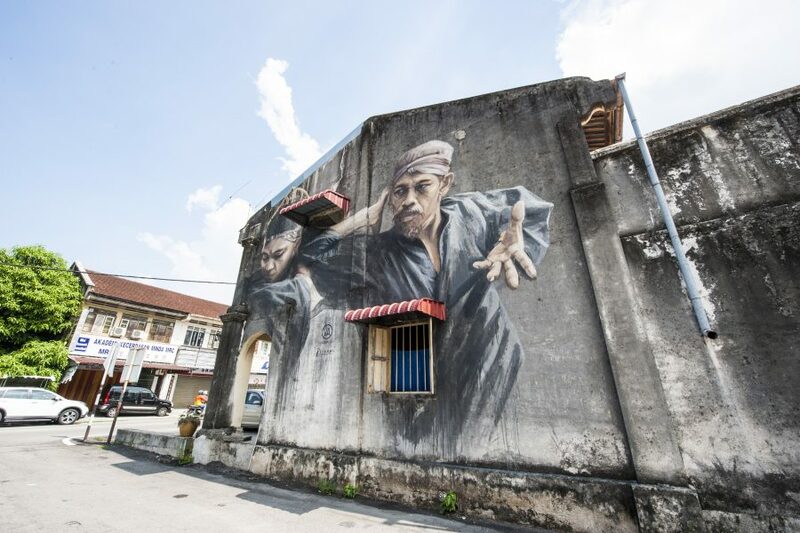 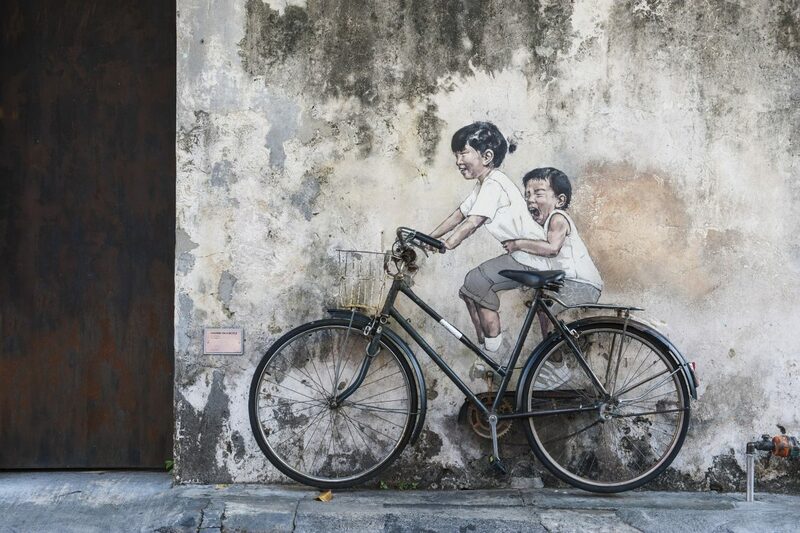 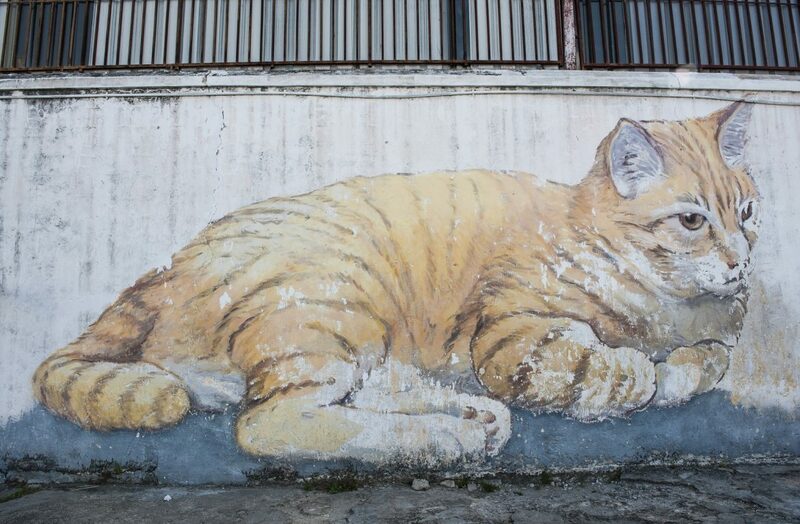 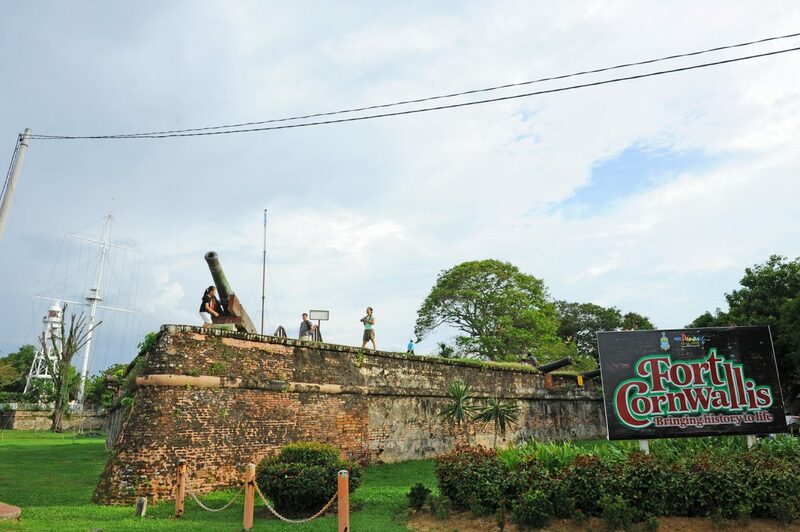 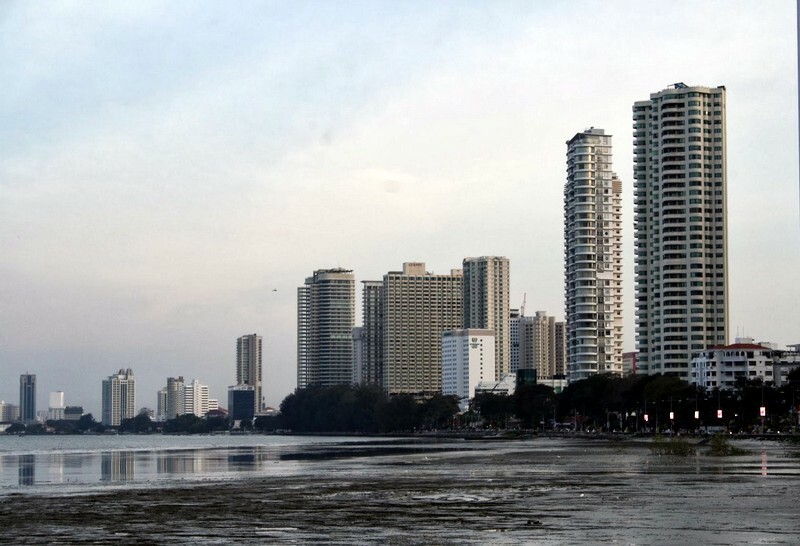 It is situated on the corner of Lebuh Buckingham (Buckingham Street) and Jalan Masjid Kapitan Keling, formerly known as Pitt Street. Kapitan Keling Mosque was the first mosque built in Penang. 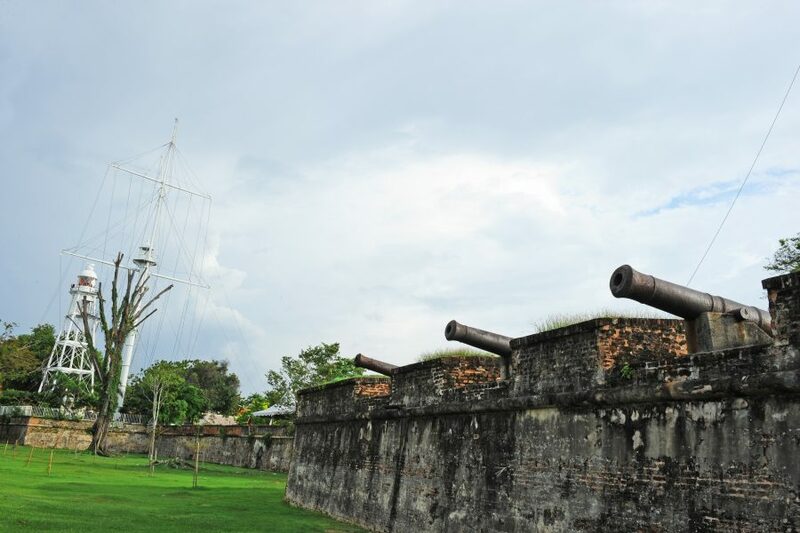 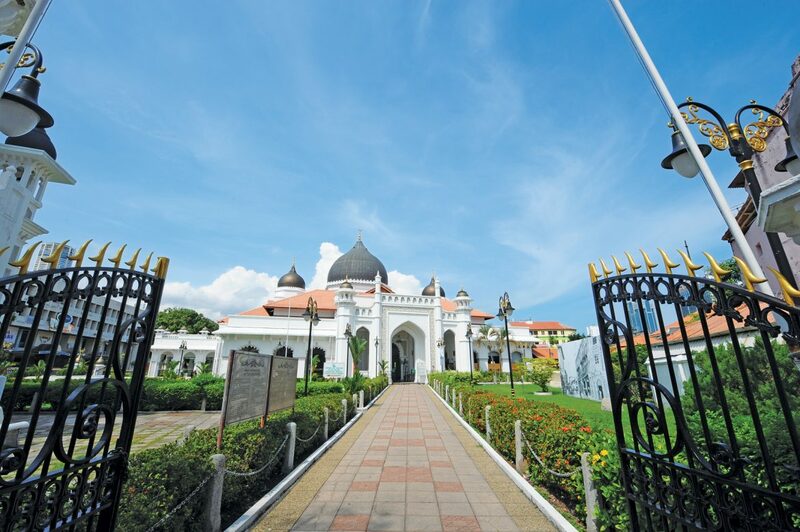 It is also the largest historic mosque standing on the ground of Penang. This mosque is named after the head of Indian Muslim community in the late 1700’s. 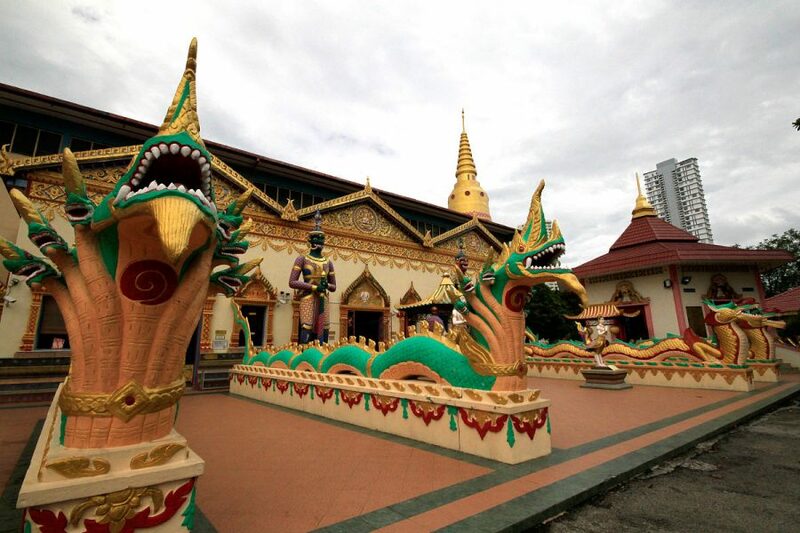 This mosque is used by the Muslims five times per day, seven days a week. During festival seasons such as Hari Raya Aidil Fitri and Hari Raya Haji, as well as every other Fridays, the mosque is packed with crowds of Muslims, offering their prayers. 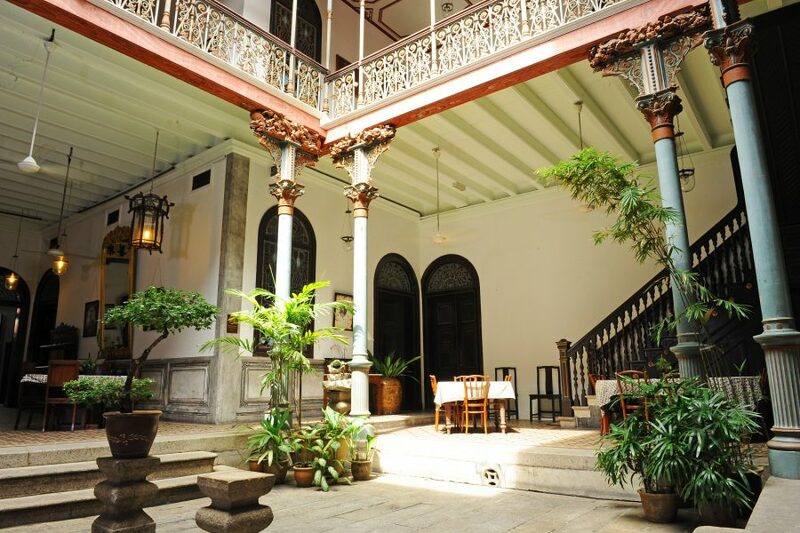 There, you can appreciate and ready to be mesmerized by the beauty of the Indian Muslim’s architecture. The visiting hours for the mosque is from 1pm to 5pm on Saturday to Thursday and on Friday, it is at 3pm to 5pm. 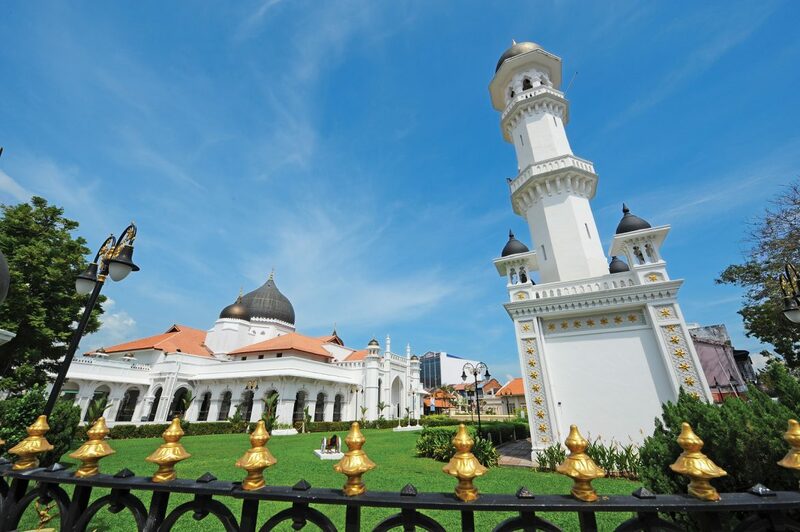 The admission fee is free and there is a guided tour available running by the Islamic Propagation Society International.